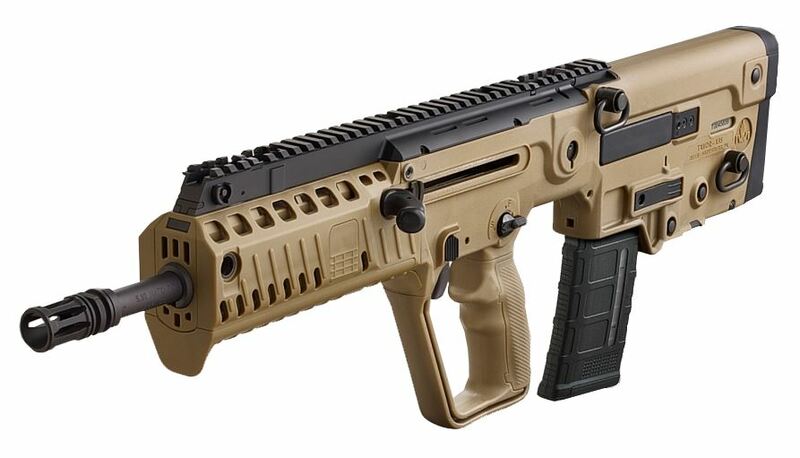 Tavor® X95™ is the next generation bullpup from IWI US, Inc. Upgrades and enhancements from the original TAVOR® SAR include a new fire control pack with a 5-6 lb. trigger pull, repositioning of the ambidextrous mag release to an AR-15 location, a forearm with Picatinny rails at the 3, 6, and 9 o’clock positions with removable rail covers, relocation of the charging handle closer to your center mass, a modular Tavor style pistol grip that can be swapped out to a standard pistol grip with traditional trigger guard and a smaller, lower profile bolt release button. 100% ambidextrous capable configuration and operation with optional left hand bolt for 5.56 NATO or .300 AAC. No additional parts required to convert 9mm Luger Parabellum to LH configuration. Integral folding spring loaded backup sights in the full length MIL-STD top Picatinny rail. Tritium insert in front sight post. Note:- Tavor X95 rifle is assembled in the US from imported and US parts under 18 U.S.C § 922(r). You should only use magazines made in the USA in your Tavor X95. Use of an imported magazine may put you in violation of 18 U.S.C § 922(r).